The pastor of Crosspoint Wesleyan Church said the presence of an openly gay man in the children's ministry might make some parents uncomfortable. Officials at a church in Fredericton, Canada, have told a young man he can no longer volunteer with the children’s ministry there because he is gay. 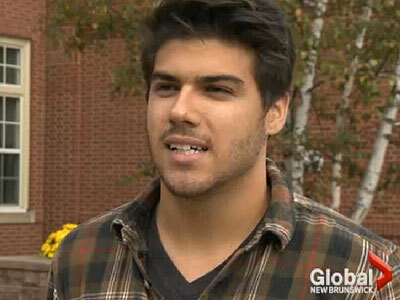 Colin Briggs, 20, had volunteered at Crosspoint Wesleyan Church since 2011, The New Brunswick Beacon reports. Pastor Mark Brewer and youth pastor Nathalie Estey called him in for a meeting last Wednesday and told him he had to cease volunteering. “Having an openly gay male working in the children’s ministry may cause some parents to feel uncomfortable,” Brewer told the newspaper. Having Briggs discontinue his volunteer work, Brewer said, would “avoid any potential uproar.” He told Briggs he was still welcome to attend services at Crosspoint. Briggs isn’t sure he’ll do so, although he maintains a certain loyalty to the church. “I felt disappointed. Personally and towards the church,” he told the Beacon, a student newspaper at St. Thomas University in Fredericton. Brewer, for his part, addressed the situation during Sunday’s services, saying news coverage of the matter had led to “some unfortunate judgments” about the church. He said that when volunteers are asked to step down, there are often “deeper and more complex issues than what appear on the surface,” but these are generally not made public in order to protect the privacy of everyone involved. Of the coverage, he said, “As usual, much of what you read on the Internet is not true,” but he did not say what specifically was inaccurate. He also said the church does not discriminate and welcomes everyone, regardless of sexual orientation or any other factor. Watch video of his remarks below. September 22 - Mark Brewer from Crosspoint Wesleyan on Vimeo.